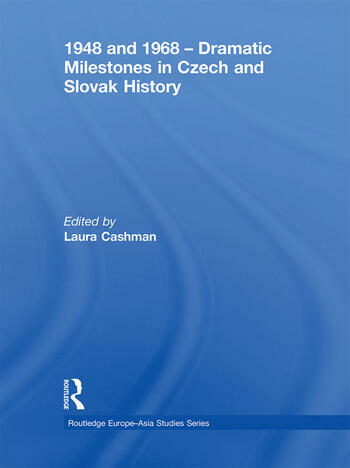 This volume has been published to coincide with the anniversaries of two significant milestones in Czech and Slovak history – the establishment of communist rule in 1948 and the Prague Spring of 1968 – and in anticipation of the 20th anniversary of the 1989 ‘Velvet Revolution’. Given the ultimate failure of the communist system, these events and their legacy for Czech and Slovak society and politics merit continued study, particularly given the wealth of new data made available when state and Party archives were finally opened in the 1990s. The essays in this volume, by witnesses, historians and social scientists from the Czech Republic and Slovakia, the USA, UK and Australia offer a reappraisal of those turbulent events. They present new and original research, based on information from archives which were not opened until after 1990 and which is not yet available to audiences who do not speak Czech or Slovak. This volume will, therefore, be of interest to both specialists and general readers who are curious to learn more about these events. Laura Cashman is a Research Fellow in the Department of Central and East European Studies, University of Glasgow.